When you've got some time to kill, little does better than a gaming magazine. There's a new one that's up on Kickstarter now, looking to fund its first issue. 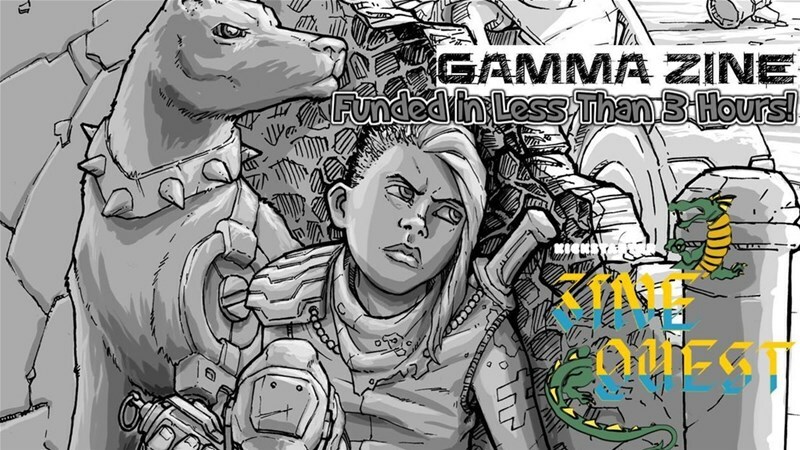 It's the Gamma Zine, and it's a tie-in with Gamma World, but is also good for using with any post-apocalyptic RPG you might enjoy. Do you still play Gamma World or another post-apocalyptic, science fiction RPG? Do you wish there was more material for the games you play? Well, here's an answer to your wish! A 16+ page fanzine for your post-apocalyptic game campaign or reading pleasure. In the first issue of Gamma Zine, you'll find a short adventure, new mutated monsters, lost and forgotten tech, and more. The zine will be black & white, saddle-stitched and digest-sized. It starts at 16 pages but increases in size as the project funding increases. The campaign is more than 4x funded with still 10 days left to go.